Now it’s time to turn south again and this time we travel in Harry Potter style – no, not on broomsticks, but on train. The train to London. A ride that ends where the story begins; at King’s Cross station. 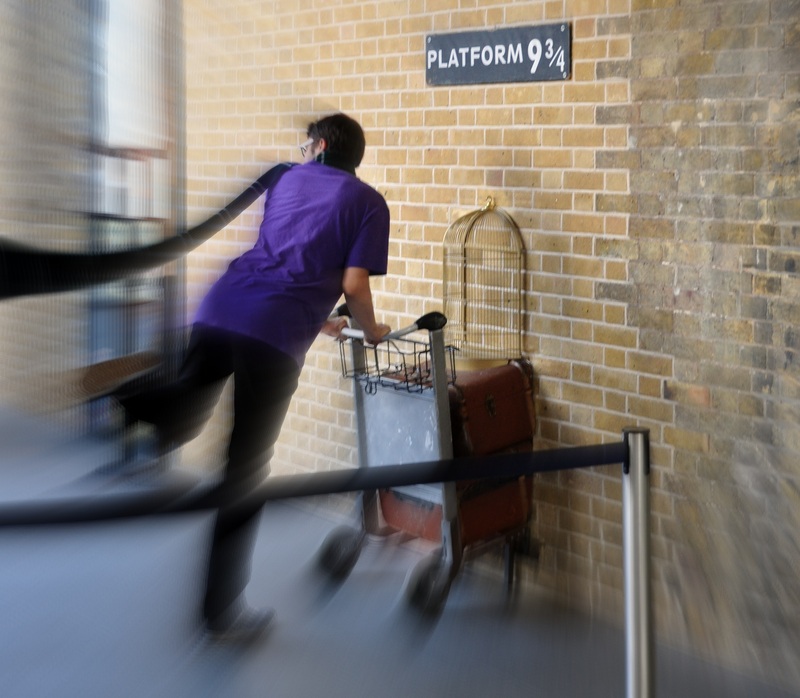 Here it’s actually possible to find Platform 9 ¾ and discover one of the luggage trolleys partly stuck in the wall. Try for yourself to see if you’ve got what magic it takes to get on to the hidden platform. We didn’t get anywhere, except on a photo. If you’re wondering why the exterior doesn’t look like expected, visit the neighbouring St. Pancras Station. You will see that it is this Victorian exterior that was used for the shots of the railway station. 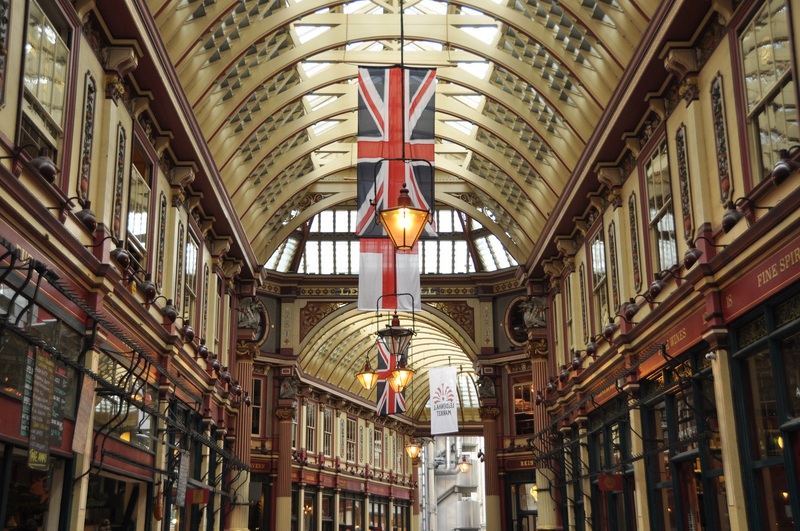 While the selection of the shops in Leadenhall Market may not be as magical, it is certainly exotic with shops selling pens and gems, leather goods and cheese. A lot of the bridges in London were also depicted in the movies: In the dramatic opening scene in The Order of the Phoenix, Millennium Bridge was featured, when it was destroyed by Death Eaters and Tower Bridge is easily recognizable as Harry flies on his broomstick along the Thames and over the bridge. In The Prisoner of Azkaban, the Lambeth Bridge is where the Knight Bus squeezes between two double deckers. On the way back we also sneak a peak in the Australia House aka Gringotts Bank with its marble interior. 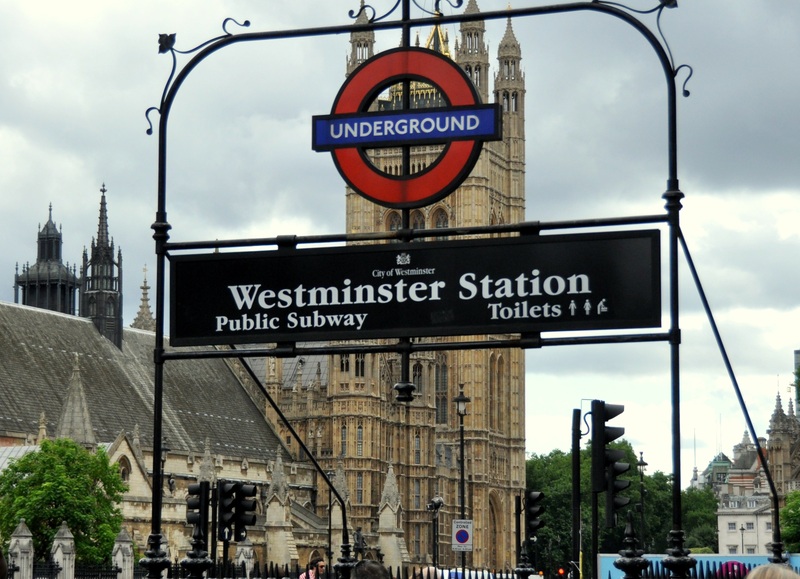 The Westminster Tube Station was one of the main locations used by Harry when travelling in The Order of the Phoenix. Accompanied by Arthur Weasley, he used the Underground to attend a disciplinary hearing at the Ministry of Magic. The station had to be closed for a whole day during filming! 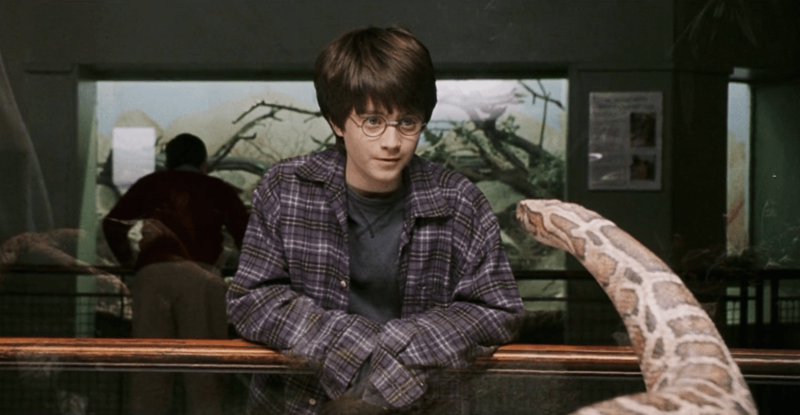 Our journey ends in London Zoo in the Reptile House, where Harry found out, that he mastered Parseltongue – that he could talk to snakes. There are plenty of chubby youngsters rubbing against the glass, reminding us of Dudley. The snakes lie lazy in their pits, and we are the only ones hissing a quiet ssstthhhanx when leaving. It’s free to discover the Harry Potter sites mentioned above. If you’re willing to spend 35£ (adult) / 27£ (child) on a ticket, you can visit the Warner Bros Studio Harry Potter Tour and walk through the iconic set, ride a broomstick and enjoy a butterbeer. 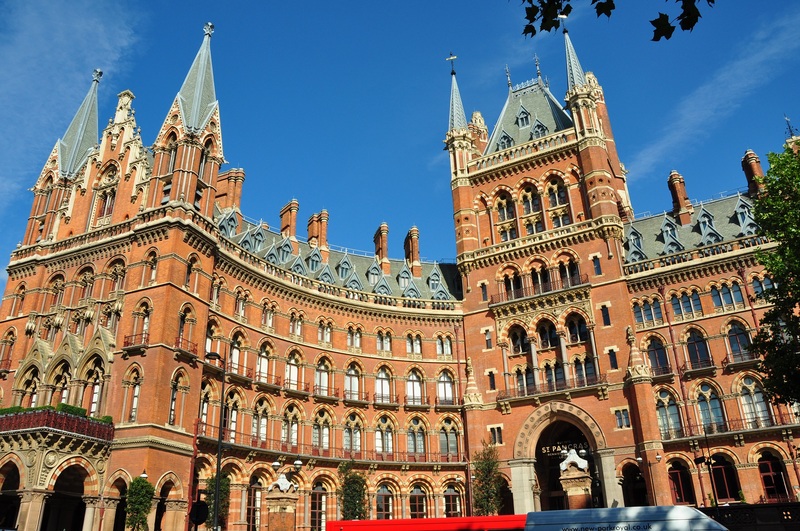 We travelled to the spectacular and historical sites of the Harry Potter movies.